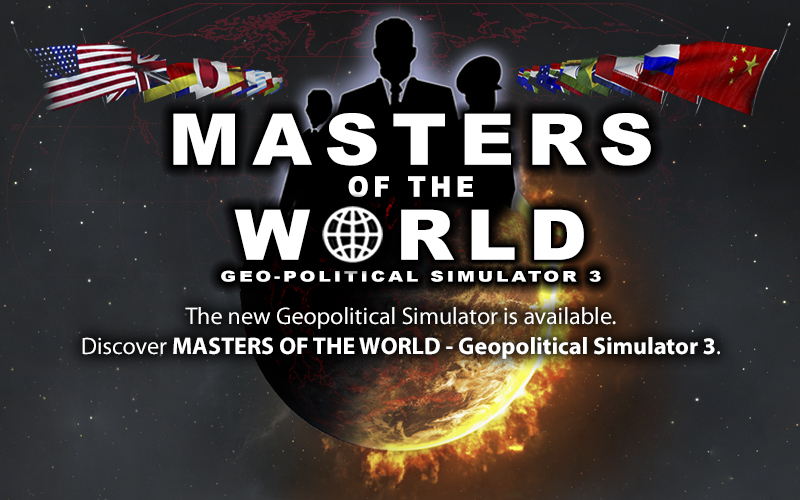 New 50% discount on Rulers of Nations - Geopolitical Simulator 2. 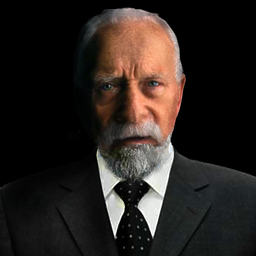 November 2nd 2011 : Prizes for the best Rulers of Nations Mods : Extension ! August 20th 2011 : Prizes for the best Rulers of Nations Mods ! July 27th 2011 : The patch 4.30 is on-line ! June 10th 2011 : The "MODDING TOOL" ADD-ON is Available in English version ! May 10th 2011 : The patch 4.24 is on-line ! 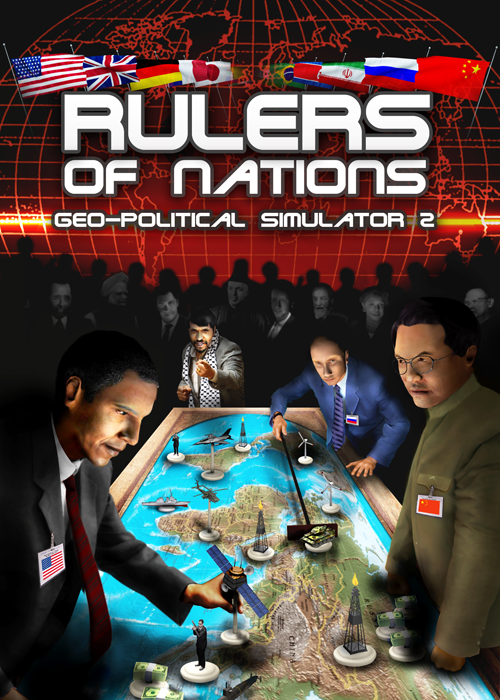 Rulers of Nations is now available! You’re the Head of State now! 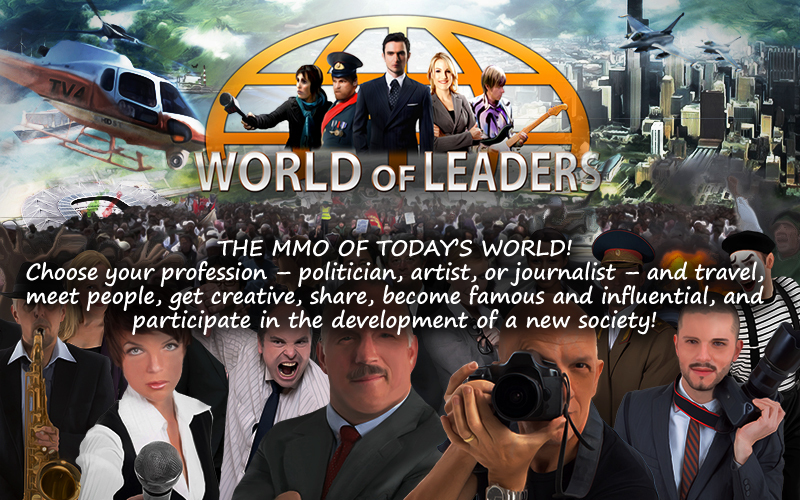 Before trying it, click on this banner and test your personality as the head of state with a minigame on the web or on Facebook. "I've been around for 60 years—and I'm still here. During this time I've seen presidents fall flat on their face in no time at all. Here are 10 tips to avoid getting trapped." 1-Increase the head of state's security budget as much as possible. It's a bit costly, but you can prevent extremists from violently reacting to your initiatives. 2-You want to make your population happy. But proceed carefully—there are limits to the budget deficit, bankruptcy is looming over you! 3-The secret service is great! But it's a double-edge sword. It could spark a scandal . . .
4-Beware of negative consequences. For example, a cut in income taxes is popular among those who pay it, but angers leftist parties that prefer distributive taxes. 5-Don't sell at a loss! Selling contracts off cheaply can bring down your economy! 6-Don't sell below your production cost on activities that require raw materials (for example: automobile construction, which requires steel). This could turn out to be really costly. 7-Be careful about annexing a country! Annexing a country that is very different from yours could make unification a real problem for your budget. Opt for a colony. But if the territory to be annexed is small, it's not a problem. 8-Beware of your ministers. They could spark scandals. Trust me, it wouldn't be the first time! A little preliminary secret service investigation wouldn't do any harm . . .
9-Are you in an awkward position at the UN? Play a permanent UN member. This way you can veto resolutions that go against your interests! 10-In Competition mode, feel free to arrange meetings with other players. You can hold confidential chats with them, away from the prying eyes of other players. And if you're losing too much, change the difficultly level.